STOCKHOLM, March 26 (Reuters) - Hennes & Mauritz (HMb.ST), the world's third-biggest clothing retailer by sales, posted a surprise 12.6 percent fall in its first-quarter pretax profits on Thursday March 26 as currency swings dented margins. Pretax profits in the December-February period were 3.55 billion Swedish crowns ($439 million), short of the average forecast of 4.11 billion given in a Reuters poll of 20 analysts and down from the 4.06 billion made a year ago. The gross margin fell to 56.6 percent from 59.6 percent, which compared with a forecast of 58.6 percent. Excluding currency effects the margin would have been 60.8 percent. H&M and Spanish rival Inditex (ITX.MC), which owns the Zara chain, are feeling the pinch of the global downturn but thanks to their offering of high-fashion looks taken straight from the catwalks at low prices they have weathered the grim sales environment better than some other clothes retailers. 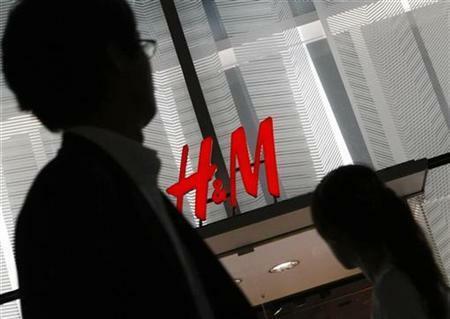 H&M's quarterly group sales rose 18 percent to 23.3 billion crowns. In local currencies, the increase was 4 percent. In comparable units, sales decreased by 5 percent. "In the second quarter the company expects that it will not be able to benefit from the positive effects from the strengthening of primarily the euro, as a consequence of the hedging of the internal flow of goods," H&M said, adding it expected the effects from the hedging to even out over time. Net sales in February rose 1 percent year-on-year versus a forecast 1.4 percent rise. In stores open a year or more, sales fell 8 percent versus a forecast 8.5 percent drop.